SCOTLAND will officially join the space race later this year with the launch of a small satellite from a location probably in the north of the country. The National has learned that Edinburgh-based developers Skyrora are planning a suborbital test flight sometime in the last three months of 2018. Skyrora has already looked at Shetland as a small satellite launch location where the Saxa Vord site of the Shetland Space Centre is bidding for a licence from the UK Space Agency – all matters to do with space are reserved to Westminster. 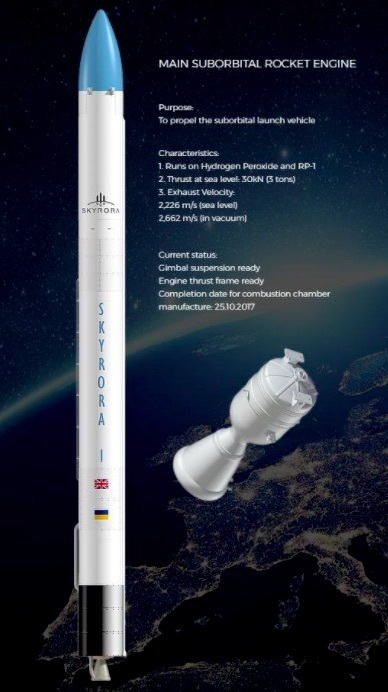 With its partners in Ukraine, Skyrora aims to grab a share of the growing market for small satellites with their launcher rocket that is similar to the home-grown technology that powered the Black Arrow project in the late 1960s and early 1970s. Like Black Arrow, Skyrora’s rocket engines run on hydrogen peroxide and kerosene. Launched from Woomera Test Range in Australia, Black Arrow saw the UK become the sixth country in the world to launch its own satellites in October 1971. Sadly for space travel fans across Britain, the entire programme had already been cancelled by the then Tory government of prime minister Edward Heath on cost grounds. Daniel Smith, business development manager at Skyrora, told SpaceNews publication that the engine will be tested shortly. He said: “Things are moving very rapidly at this point. We’ve already 3D-printed various parts of our suborbital test vehicle and are in advanced talks about testing our engines here in Britain. The tie-up with Ukraine where the firm has a research and development facility in Dnipro gives access to Ukraine’s 70 years of space industry know-how. Smith told SpaceNews: “As a British company, it’s helpful for us to have access to Ukrainian knowledge that can support our activity. Skyrora says its use of Black Arrow-inspired technology will also allow the company to reduce the cost of space launches. 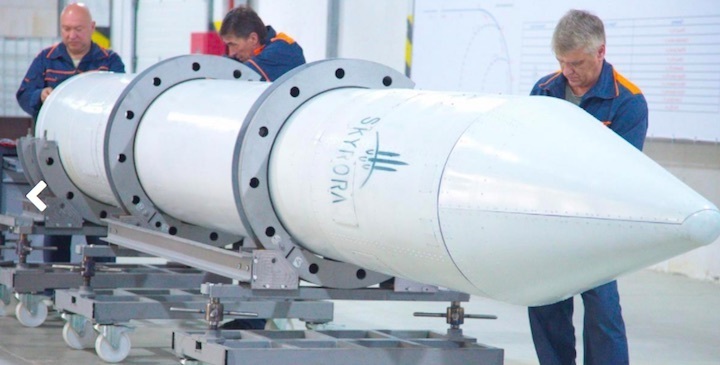 The first rocket will be able to carry a payload of up to 150kgs, and according to the company’s website, all the main components of Skyrora One are ready. Smith said: “Our decision to use hydrogen peroxide and kerosene came about for a variety of reasons, and we do appreciate the link with Black Arrow and feel a certain sentimental connection to that project.